Prevent those destructive home flooding with this simple yet effective Wi-Fi-water sensor from D-Link. Have you ever come home one day and found a part of your house or the entire house flooded? 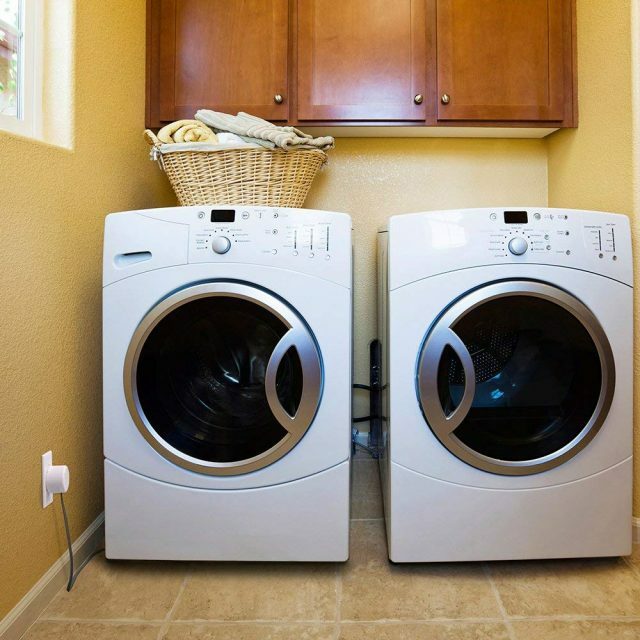 Flooding can occur unexpectedly within our homes from a number of sources such as the washing machine, the kitchen faucet or sink, the bathroom, the fish tank, dishwasher, basement, and many more. It doesn’t matter what caused the flooding. What matters is that, at the end of the day, a lot of home items, equipment and furnishings are damaged and it will require time and effort to clean up as well as money to repair or replace the affected items. Many homes have fire detectors installed in fire-prone areas of the house. It makes perfect sense to equally install water sensors in the sensitive areas in our homes. Like smoke detectors or heat sensors, water sensors are devices that can detect water in your home and take appropriate warning action. From D-Link, renowned manufacturers of quality network switches, hubs, and routers come the D-Link Smart Water Sensor designed to detect and warn you, wherever you are, about possible flooding within your home. D-Link has an established reputation as manufacturers of reliable and quality network hubs, switches and routers. That reputation carries over to their home accessories’ products’ line. The D-Link WiFi Water Sensor sells on Amazon for just under $135. Though higher in price, compared to its peers, you can rest assured you are getting your money’s worth in terms of features, functionality, and durability. 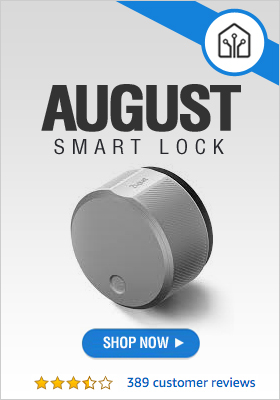 The D-Link looks like a normal home AC plug. It has a LED light on its front and an AC plug on its back. The right side has a Wi-Fi Protected Setup (WPS) button and the bottom contains an RJ11 jack. The package comes with the sensor itself (available only in white), a Quick Install Card, a 3.5-feet RJ11 extension cable, and a 1.65-feet water sensor cable. Written on the back on the sensor are the PIN code, the MAC ID, the Wi-Fi name, serial number, and mydlink number. It weighs 3.2 ounces and measures 2.5 x 2.5 x 2.2 inches. The D-Link Water Sensor has an operating temperature range of 32 to 104 degrees Fahrenheit (0 to 40 degrees Celsius). Installation/Set up: The Quick Install Card provides instructions for setting up and installing the D-Link DCH-S160 water sensor. Plug it into the electrical wall socket in any room prone to flooding with provided cable. From your phone device, download the mydlink mobile app from Android Play or Apple Store as applicable to your phone. Once downloaded, open the app and following its setup instructions. At a point, you will be asked to pair the app with the water sensor. Push the WPS button on the the D-Link WiFi Water Sensor and then push the WPS button on your home router. This will connect the water sensor to your home Wi-Fi router. The app will then require you to enter the sensor’s PIN code which is located at the back of the sensor and also on the back of the Quick Install Card. The app advises and carries out a firmware update, following which your water sensor is ready for use. You can now set your alert rules and preferences, enter your email address, the name of the water sensor and other needed details. 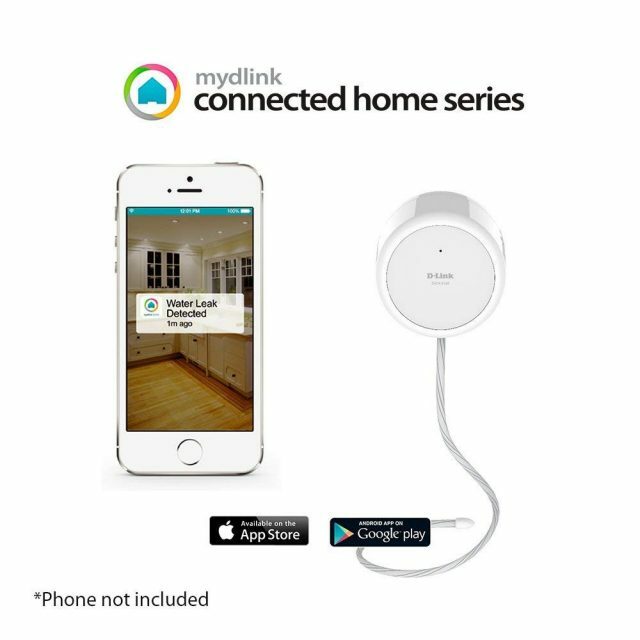 App Control: The D-Link DCH-S160 mydlink water sensor integrates with the mydlink home app. This app fully controls the device and alerts and notifications are sent to your device through the app. With the app, you can monitor the status of your home from anywhere in the world. The app also controls the D-Link mydlink Wi-Fi Smart Motion Sensor and the D-Link mydlink Wi-Fi Siren, if installed. All smart home devices, as well as other devices compatible with the water sensor, can also be controlled through the app. 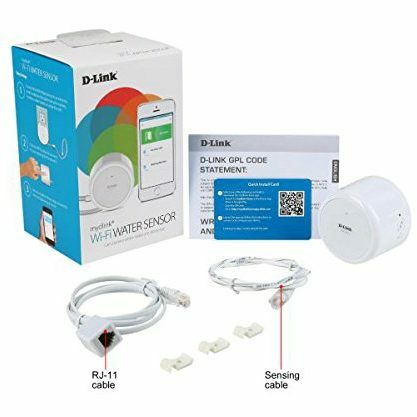 Connectivity/Integrations: The D-Link DCH-S160 Wi-Fi water sensor connects to devices using Wi-Fi technology. It does not need a hub to connect to your router. Through the app, you can integrate the water sensor with other smart home products, such as Wi-Fi cameras, motion sensors, and smart plugs. It can also connect to any IFTTT-enabled app or product. Alerts and Notifications: The device has a 70db built-in siren that goes off when water is detected. In addition, the red LED on the device’s front blinks and notification is provided on the phone through the app and through the email address you provided in the setup. If you desire a louder siren, you may obtain the optional D-Link DCH-S220 mydlink Wi-Fi Siren. This siren is up to 110db, has a longer sound range, and has 6 different alarm sounds. Don’t be “penny-wise, pound foolish.” With D-Link’s DCH-S160 mydlink Wi-Fi Water Sensor, you can now prevent any flooding of your home, from anywhere in the world. 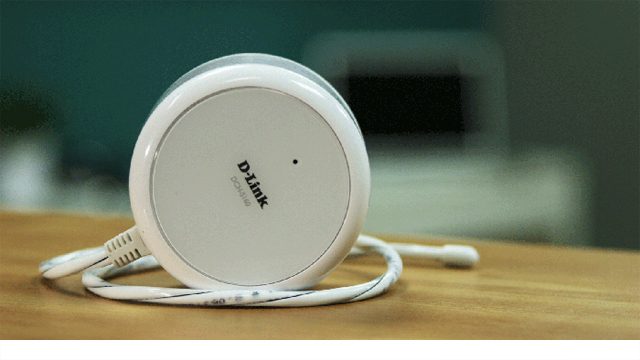 Get Your D-Link Wi Fi Water Sensor Now! 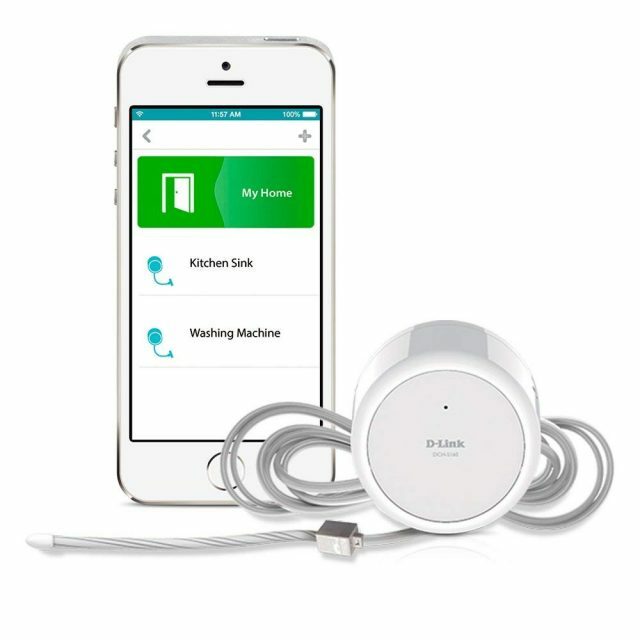 Get Your D-Link Water Sensor Now!